On Oct. 6, join your friends for a trip back through time to 1863-4, when Union Civil War soldiers occupied one of Culpeper’s oldest plantation homes - Rose Hill - during the Winter Encampment . 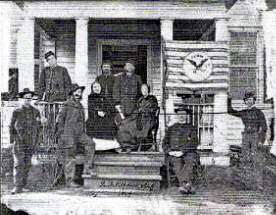 Stand on the porch where Union soldiers posed for a picture. Read graffiti in the attic and gaze at a hole in the ceiling allegedly caused by a Confederate soldier’s bullet. Thanks to the generosity of the Ashby/Covington family and Rose Hill Farm Curator, Walter Bell, the estate will be the site of a gala picnic and fund raiser for the Brandy Station Foundation. Rose Hill, a circa 1810 Stevensburg mansion will be open for tours, affording the public a rare chance to walk the halls and view one of Culpeper County’s most historic homes. Our guest speaker that day will be the noted historian, Mr. Clark “Bud” Hall, who will speak on the history of Stevensburg. Civil War re-enactors of the Little Fork Rangers will provide a glimpse into a soldier’s life during the War Between the States. Also, there will be a silent auction, period music, storytelling and much more. It will be a day to escape the present and relive the past, all of which will begin by riding in horse-drawn carriages from the automobile parking lot to the historic mansion. 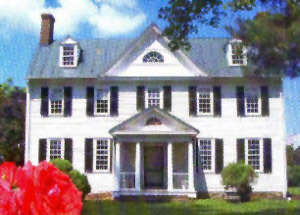 During the Winter Encampment of 1863-64 by Union forces, the plantation, owned at the time by Alfred Ashby, served as the headquarters for Union Gen. H. Judson Kilpatrick. To display his horsemanship, the Union general rode his horse back and forth through the home’s central hallway. According to the story, the family that lived in the house was forced to live in the basement until the occupying Union forces departed. When Confederate forces held the home, the rebel soldiers built a canvas stockade on the grounds capable of holding 700 prisoners. Union soldiers used the stockade for concerts, lectures and plays. In 1864, the home served as a site for a major ball that saw Vice President Hannibal Hamlin, senators, dignitaries and officers attend the gala. Reservations for the event are required. The cost is $25 per person, which includes admission, food and soft drinks. A cash bar is available. Sponsorships costing $150 remain available guaranteeing two reserved seats. Patron donations of $500 receive reserve seating for 6 and benefactors donating $1000 or more receive a reserved table for 10. Sponsors, patrons and benefactors will also be recognized in the event program. Children under 12 will be admitted for free. Reservations must be received by Sept. 30th. For more information visit www.brandystationfoundation.com or call Helen Geisler @ 540-399-1637 or Mary Tholand @ 540-825-5534.